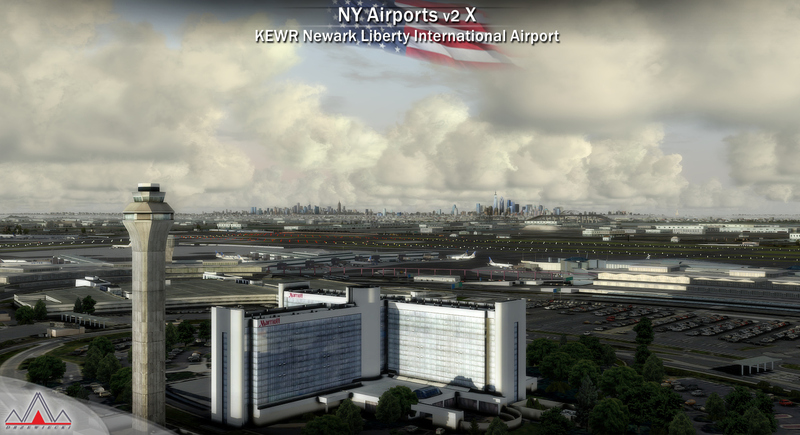 If you previously purchased DRZEWIECKI DESIGN - NEW YORK AIRPORTS X - KTEB, KCDW AND KLDJ EXTRACT FSX P3D or DRZEWIECKI DESIGN - NEW YORK AIRPORTS X - KEWR EXTRACT FSX P3D or DRZEWIECKI DESIGN - NEW YORK AIRPORTS X FSX P3D at simMarket, you are entitled to the special upgrade price of EUR 16.96 incl.  VAT (14.25 excl. VAT) only. NOTE: The special upgrade price will be awarded automatically, therefore you must be logged into your same account used to purchase the previous version! If in doubt contact simMarket support first! NO REFUNDS GIVEN! 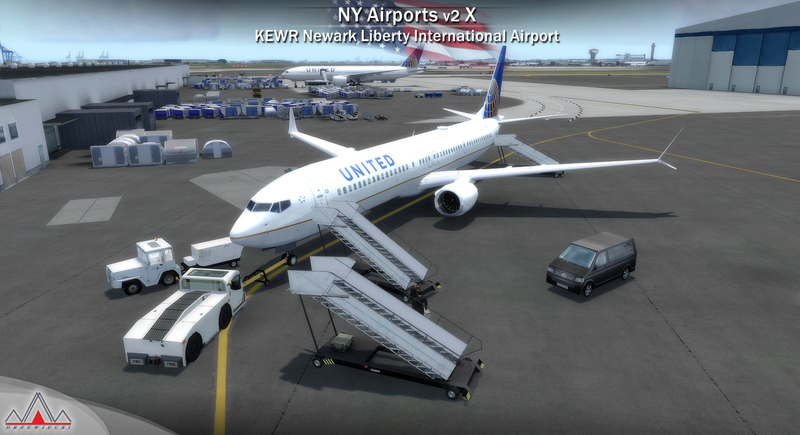 Finally having Newark with excellent fps (60+) opens up an airport previously riddled with FPS problems from other developers. 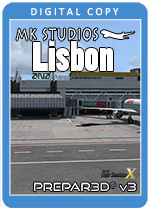 Whilst I have no need to operate the other 2 airports in the package I have inspected them and they are well-detailed. 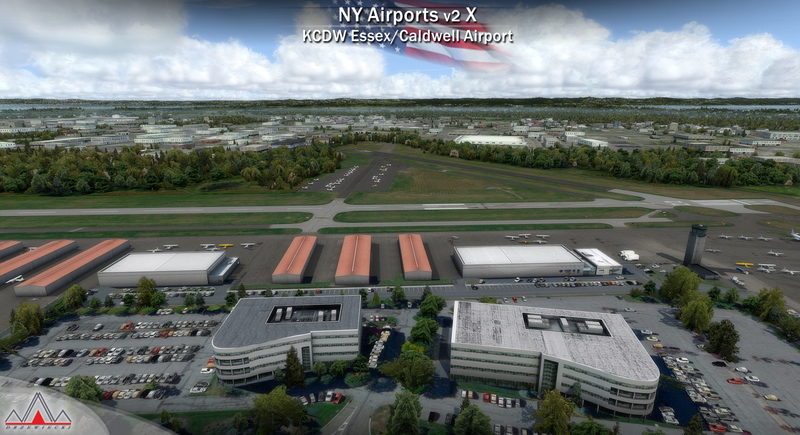 Adding SODE to KEWR puts in the icing on the cake. 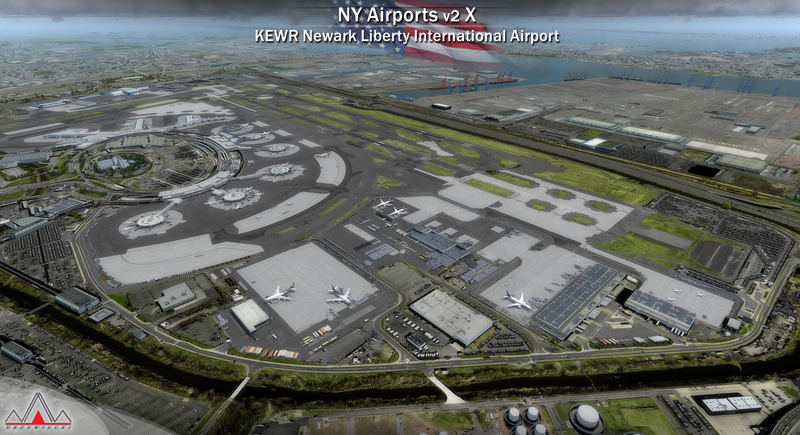 Okay, so I think it's a pity that none so far has decided to come up with a nice and detailed representation of Newark's Liberty Airport. 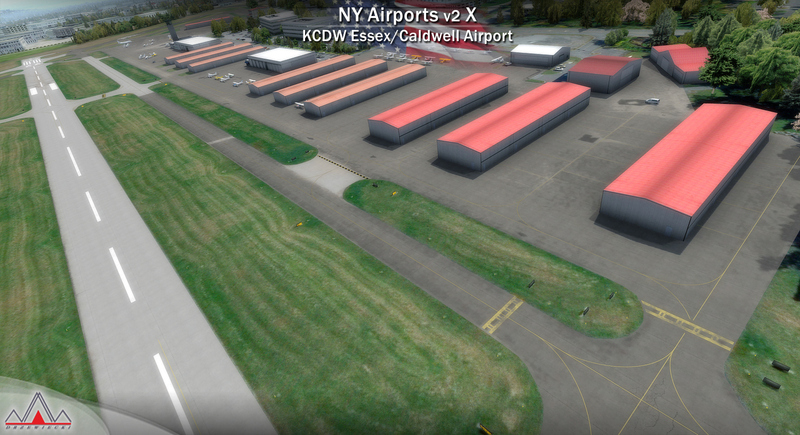 So I got very excited when I first heard that the talented Drzewiecki-team has been working on a brand new version of their New York Airport product. The fact that it includes Newark alone guaranteed I will go for it early on. The detail they packed in this is simply tremendous. 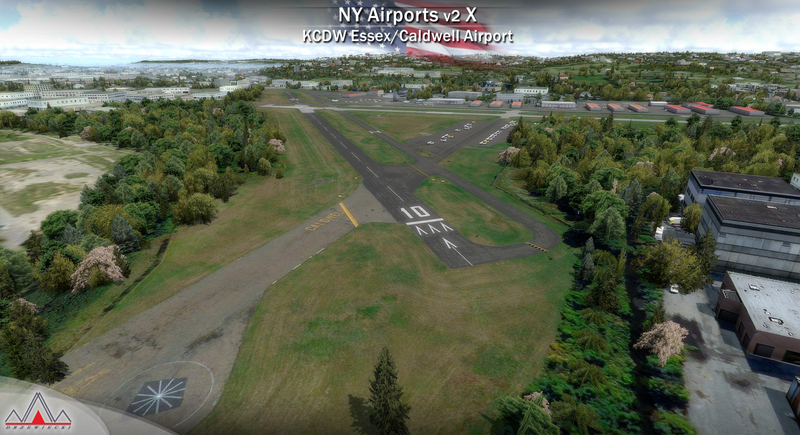 You've got two separate products, each featuring three New York airports. 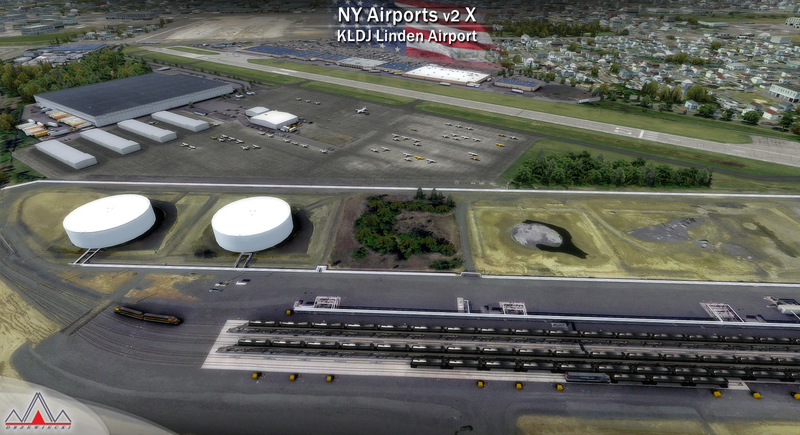 This one represents the mighty Newark as a main airport as well as two smaller general aviation or business airfields, Linden and Essex County. 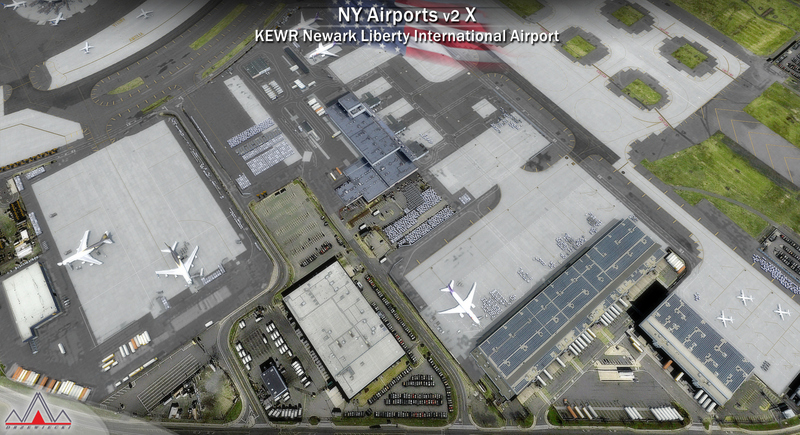 The other one embraces two big guys, JFK and La Guardia as well as the busy business beast Teterboro. Let's see. 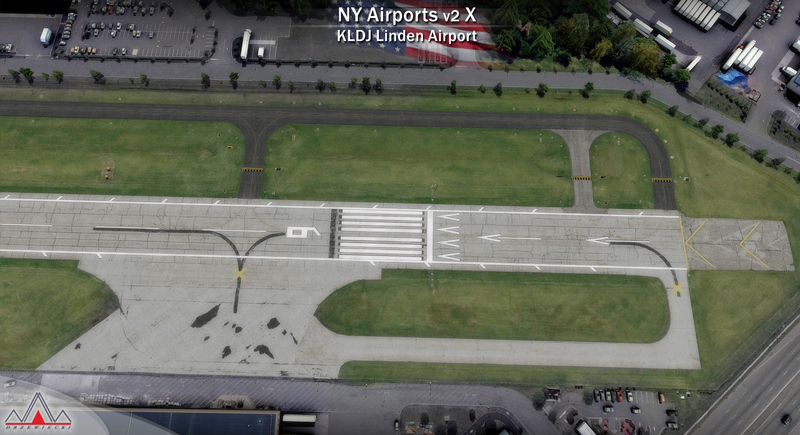 The two smaller airports, although small in size, are equally stuffed full of fine details. We've got all kinds of nice clutters scattered across the airports, moving vehicles and people so the whole place comes to life. 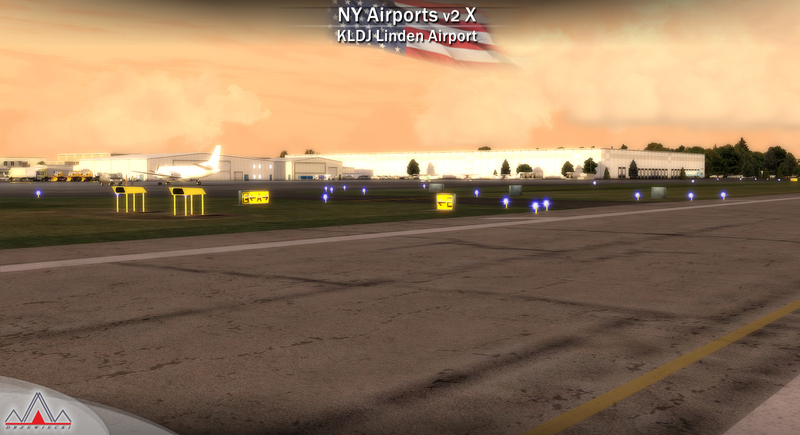 The ground textures are sharp and pleasant to look at although I still do miss volumetric grass from DD products. But it's nothing more than my personal preference. At least an option to have grass would be great. As said, the superb ground textures make up for it easily so worry you not. The buildings are nicely textured too and the modelling is top notch as is always the case with Drzewiecki's masterpieces and it's certainly no exception. 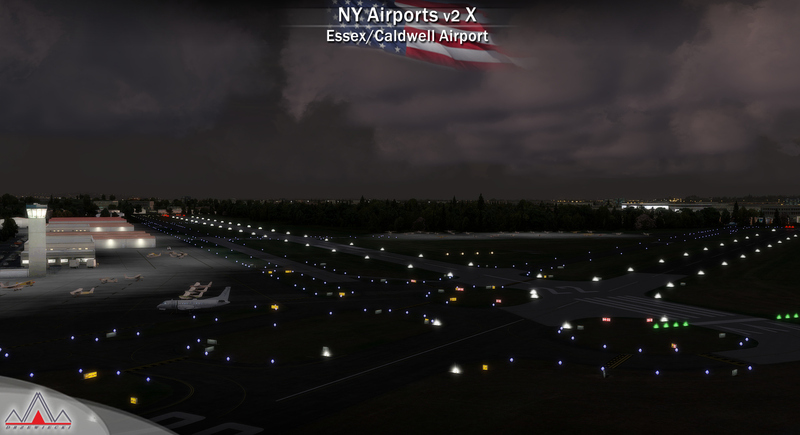 The night lighting is amazing, makes the pilot feel become part of the scene... if they could somehow add the smell of avgas or jet fuel for even more immersion though... On a serious note, these two small airports are very addictive. 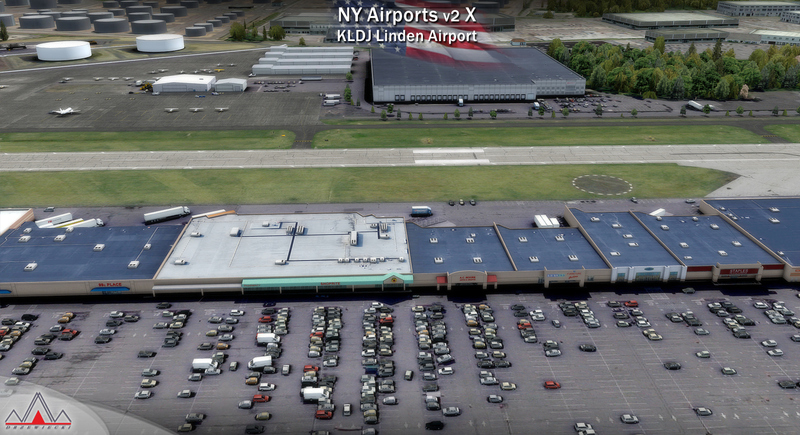 Linden has grew on me so much I couldn't stop flying patterns in my Cessna 182 - make sure you enjoy the wonderful surroundings if you do so! 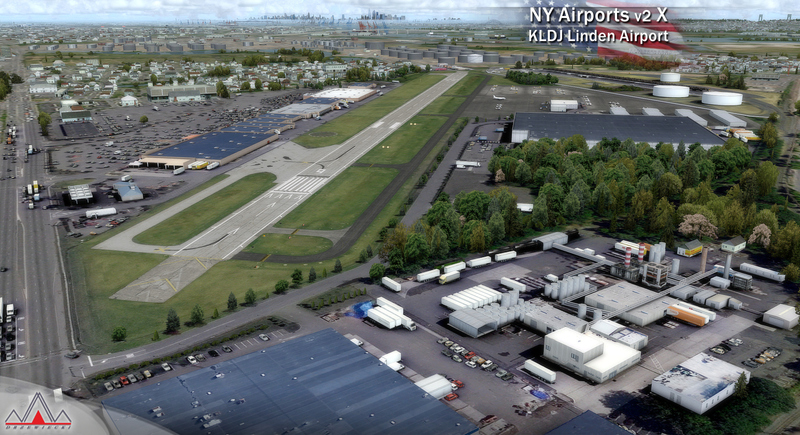 So far only the busy airports of metropolitan NY came into mind and it's fantastic to now have the opportunity to fly out of and into smaller airfields of the city of the Big Apple. And then we've got Newark. Very, very happy with it. 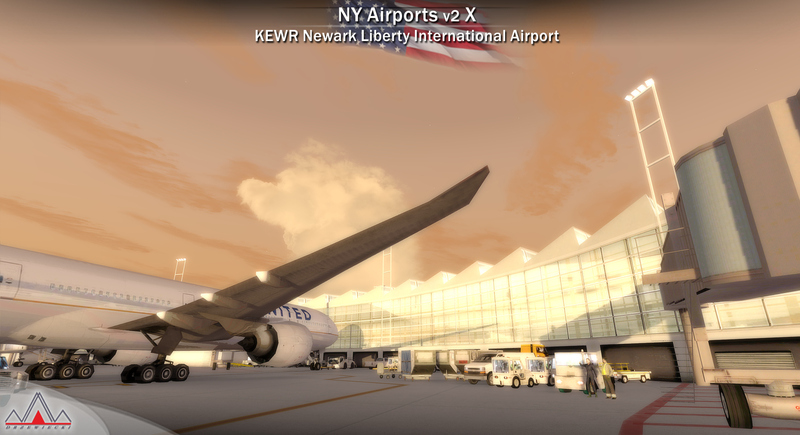 As mentioned, I was eagerly waiting for KEWR to finally appear and I am absolutely satisfied with how DD delivered it. 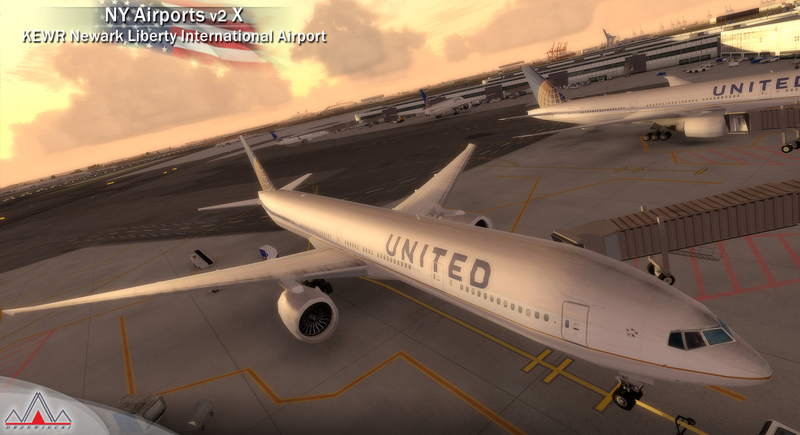 Fine, crisp textures, excellent lighting, SODE jetways and all the little bits and bobs without FPS loss. 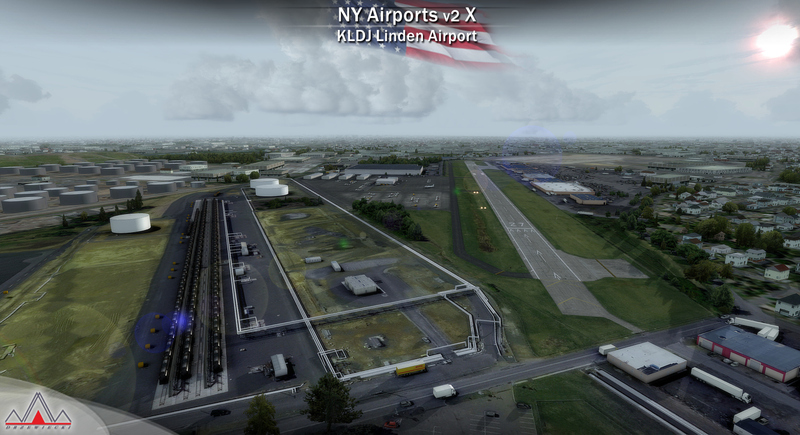 NY is a demanding area by itself yet I easily maintained over 30 FPS in two of the most complex airliners with my sliders mostly to the far right. Occasionally I experienced some dip into the mid twenties but it's not an issue and appeared to have been momentary only. The whole thing is properly optimized and balanced. 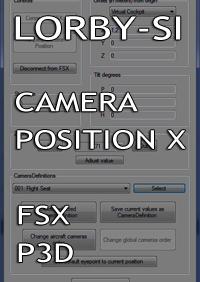 On the other hand, many things can be fine tuned via the installer such as texture resolution or the presence of static aircraft, just to name a few, should you wish to increase performance this way. If you wanted a Newark scenery, you can throw this in your cart right now and you'll love it for it is a great value for money. 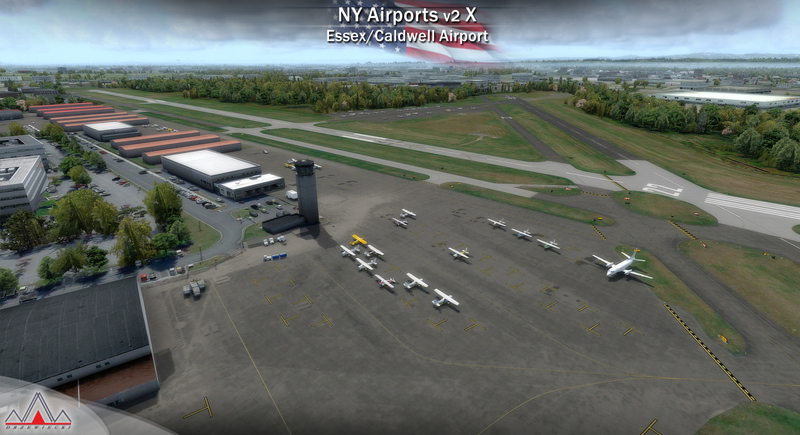 Three airports in one, all three looking gorgeous and performing extremely well, this product is another hit. 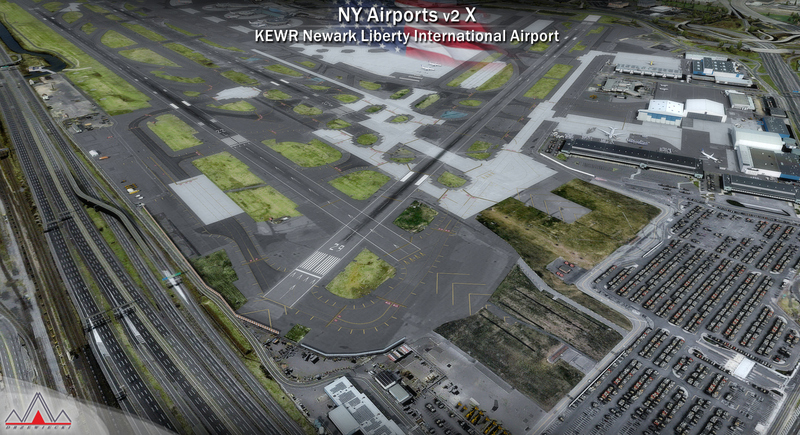 Kudos for the Drzewiecki-factory for revisiting their old NY Airports and applying the DD magic, making it one of the best buys for me this year. What can be added? 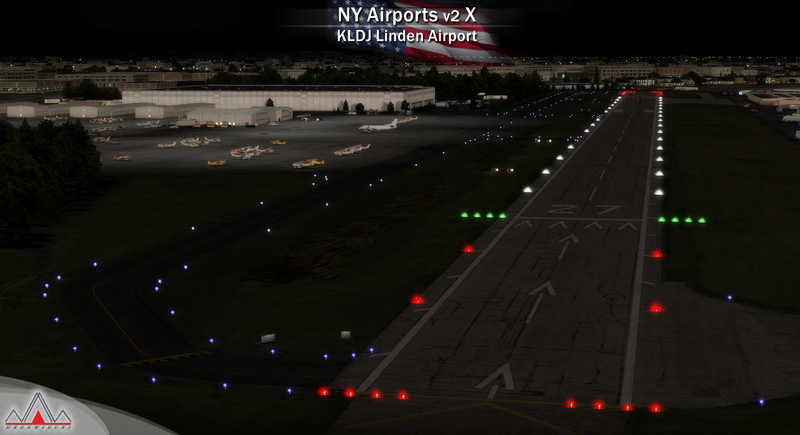 Great performance and optimization, beautiful night lighting, static aircrafts, SODE with active jetways, animated objects. 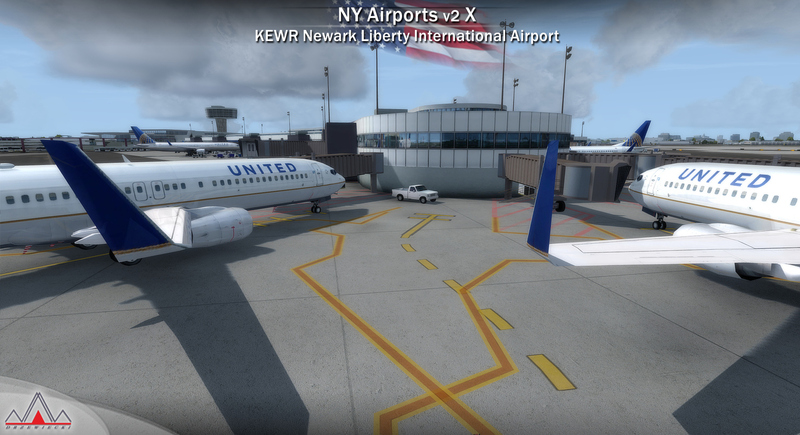 Perhaps the airports are not outstanding works of art, but you can use them without fear of poor fps. Very decent product for a vey reasonable price for me! 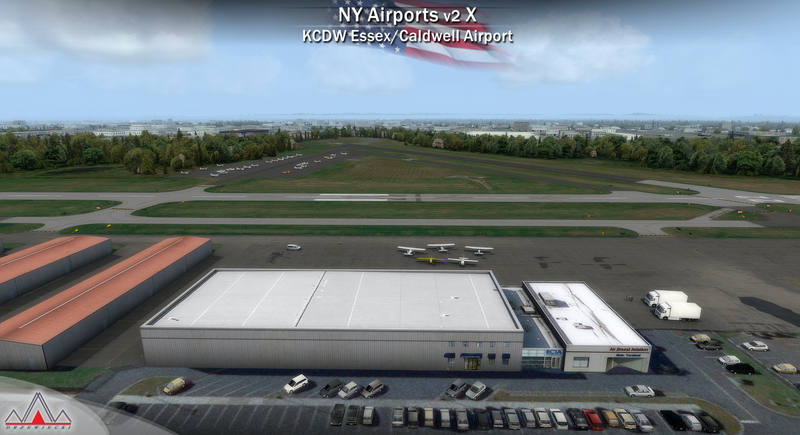 I owned the previous version of KEWR and I can say the difference between V1 and V2 is night and day. 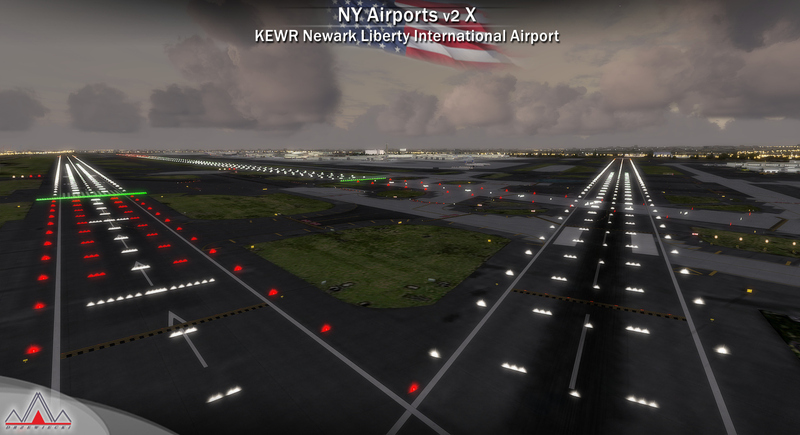 The performance seems much smoother and flying into EWR is finally possible. 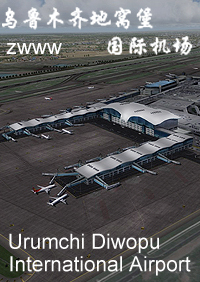 The airport isn't the most detailed, but at this price point I won't complain. They did include the IKEA which is nice! 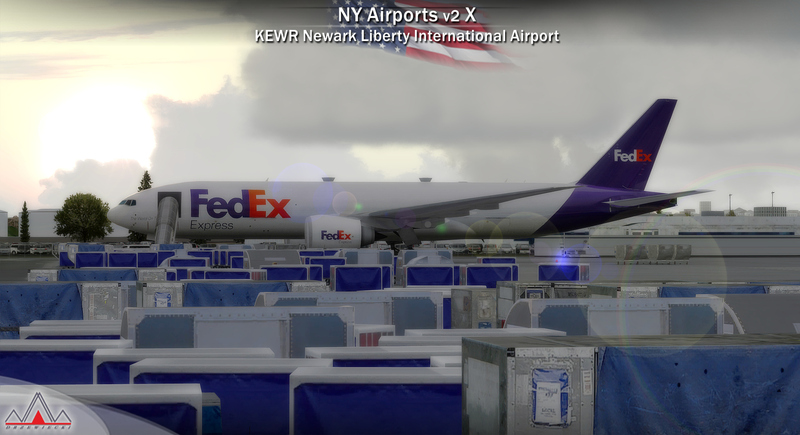 Anyone familiar with EWR knows the IKEA! 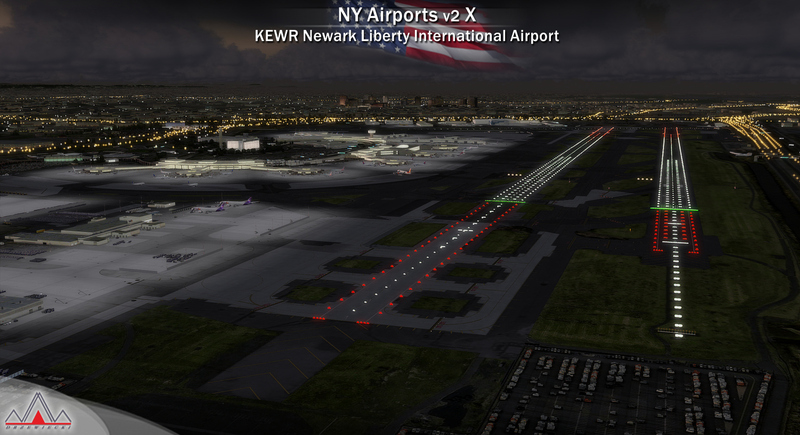 One quirk I found with KEWR is that traffic always seems to be using only runway 29 for takeoffs and landings which doesn't happen at Newark. 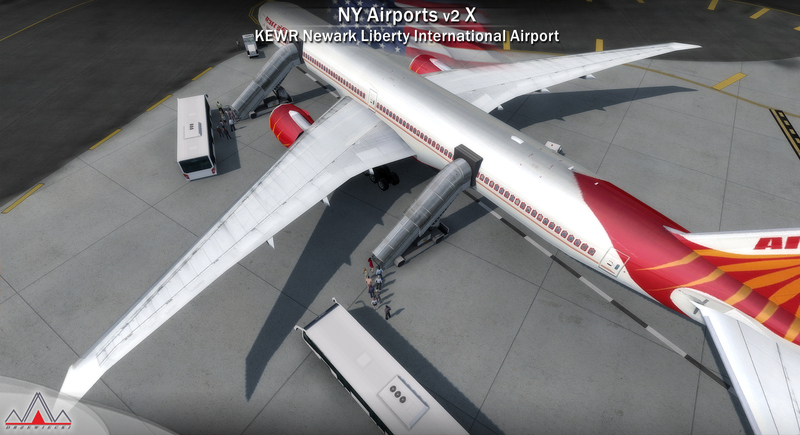 I was also a bit let down realizing that only the jetways at Terminals A and B are animated, terminal C is stuck with static jetways that don't move. Again, a little disappointing considering terminal C is the United Terminal. 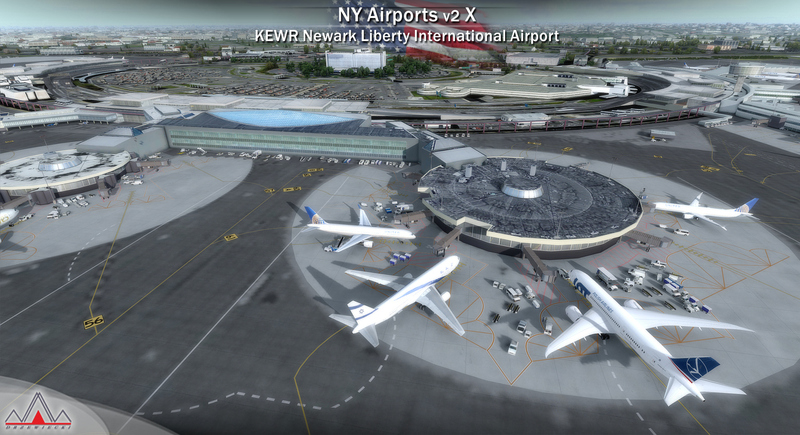 All in all, it's a great representation of Newark Airport, I would recommend it. 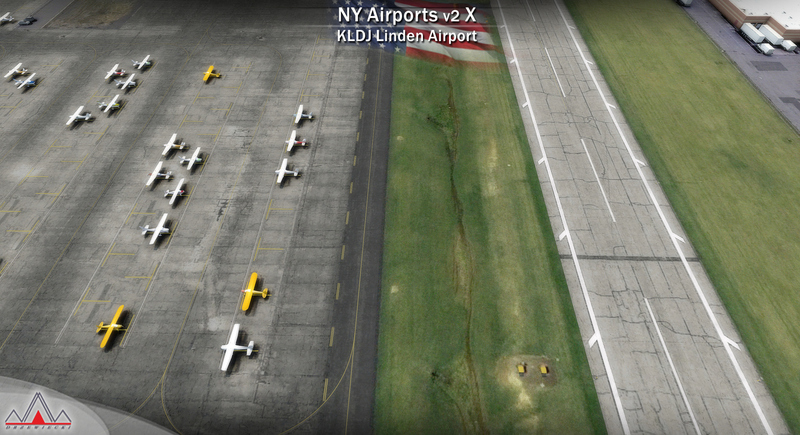 I owned the previous version of NY Airports and was very happy with the quality. 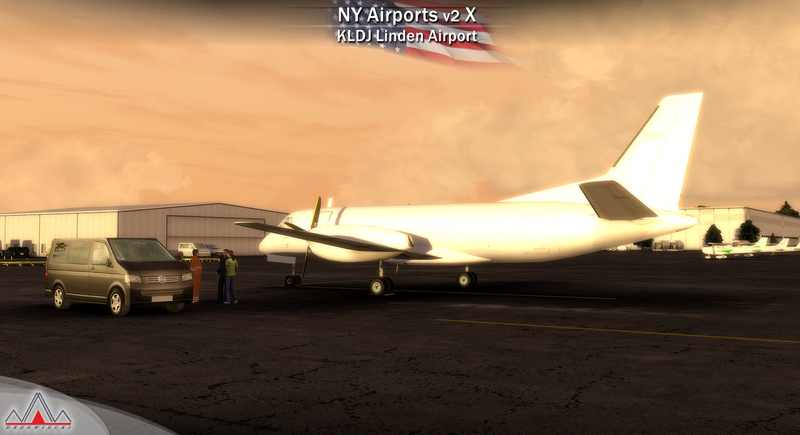 I'm a real life pilot based out of KCDW so attention to detail was paramount. Now I have V2 for PD3v4 and I couldn't be happier. The frame rates are awesome, the detail is gorgeous, and the night lighting is really something else. You can even see the name of the flight school I work for on the side of the building at Caldwell! You won't get FlyTampa detail at KEWR, but you'll get a seriously good contender for the price. 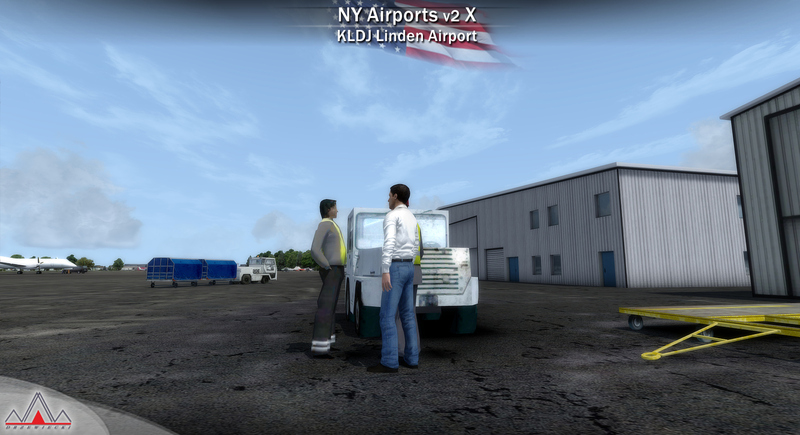 And that's just it, dollar for dollar this is a great addon for anyone who likes GA airports in the tri-state area and wants a major step up from the default big airports. I continue to be impressed by Drzewiecki Design.